I'm not a big fan of rewards. 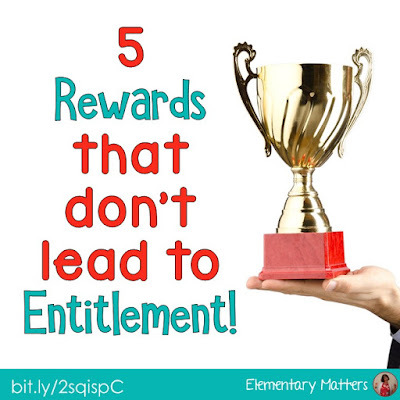 I feel rewards teach children to expect a payoff every time they put effort into something. 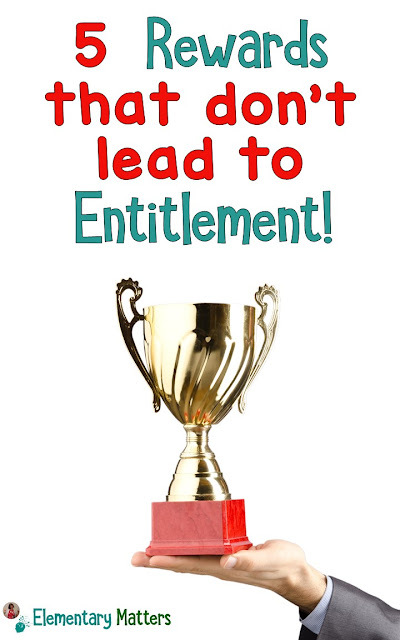 Rewards often lead to a sense of entitlement, which isn't what the real world is about. HERE is a blog post I wrote a while ago that goes into details about WHY I don't like rewards. but how do we motivate children to complete work? Well, I have a few tricks up my sleeve. The idea is to get children to take pride in their accomplishments. 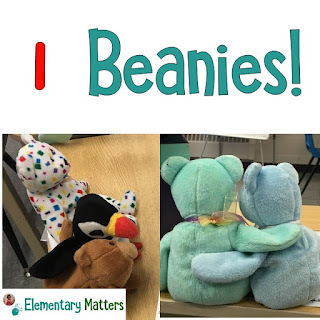 No, they don't get to keep the beanies, but they get to keep them on their desk for the day! I'll bet you're thinking...don't the kiddos play with them all day? Well, no, because I'm pretty strict about that. If they play with the beanies, they lose the beanies. Every morning the children are invited to put a beanie on their desk to keep them company for the day. 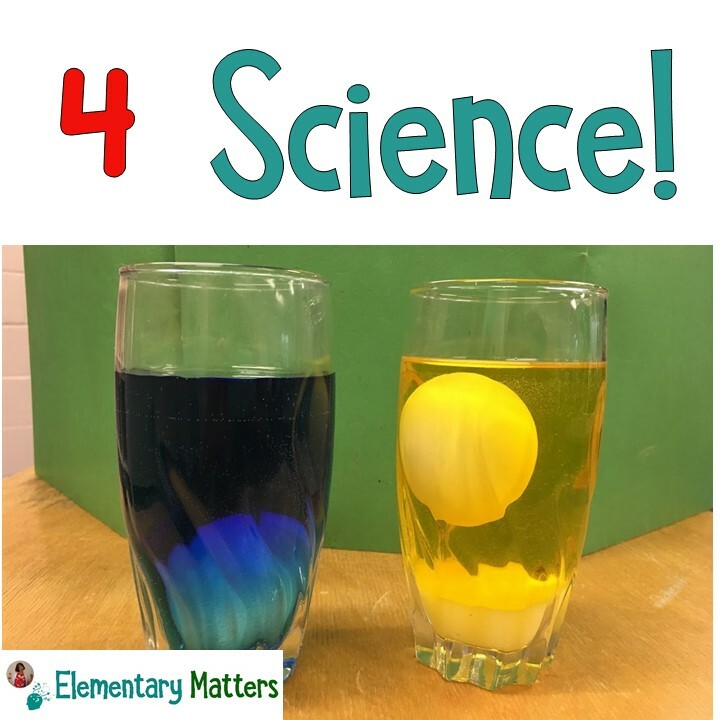 They can earn more throughout the day by asking thoughtful questions, showing perseverance, helping classmates, and a variety of "above and beyond" behaviors that I want to emphasize. Since it's not a thing they get to keep, it's not about greed. I also have a collection of flags, including many from different countries. 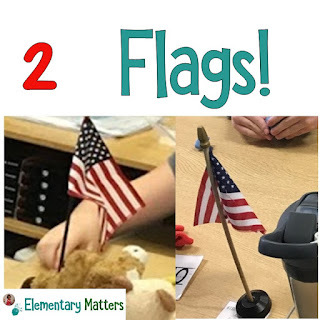 I admit, the American flags are the most popular, but once they figure out the other countries, those become popular, too! The flags are rewards, similar to the beanies, but on a higher level. I'll give flags for effort, success on math facts, handwriting awards, or remembering to show their work in math. Again, they don't get to keep the flags, but it is a source of pride. Kids do need to play. Personally, I'd love to see them get a whole lot more recess, but that's not something I can control. But if the group gets their work done in a reasonable amount of time, and they put effort into that work, they can earn some play time. One of their favorites is time to play with the math manipulatives! They also enjoy time with clay, painting, and we even spent some time making paper airplanes! These group rewards serve several purposes: they encourage the children to work as a team, and they get along amazingly well at these times! When it's time to pick up, they're good sports because they know they want to earn this "play time" again! 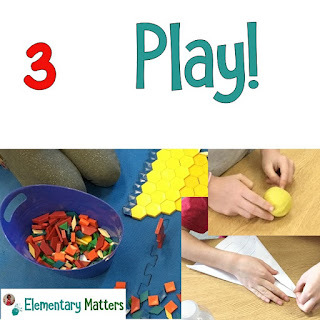 Another thing... giving them specific play time with manipulatives helps them NOT play with them when using them as math tools. 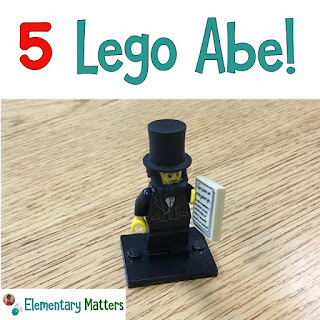 Lego Abe has been an important part of my classroom for several years now. I think he was part of a "Happy Meal" toy or something like that, but he's been a big hit! Every day, Lego Abe gets to sit on the desk of one of my cherubs. It's announced in my daily morning letter, and he always goes to someone who has been a good role model or showed exceptional effort or perseverance. This is clearly stated in the "morning letter announcement." At the end of the day, Lego Abe takes his "Gettysburg Address" back to his "log cabin" to sleep for the night. 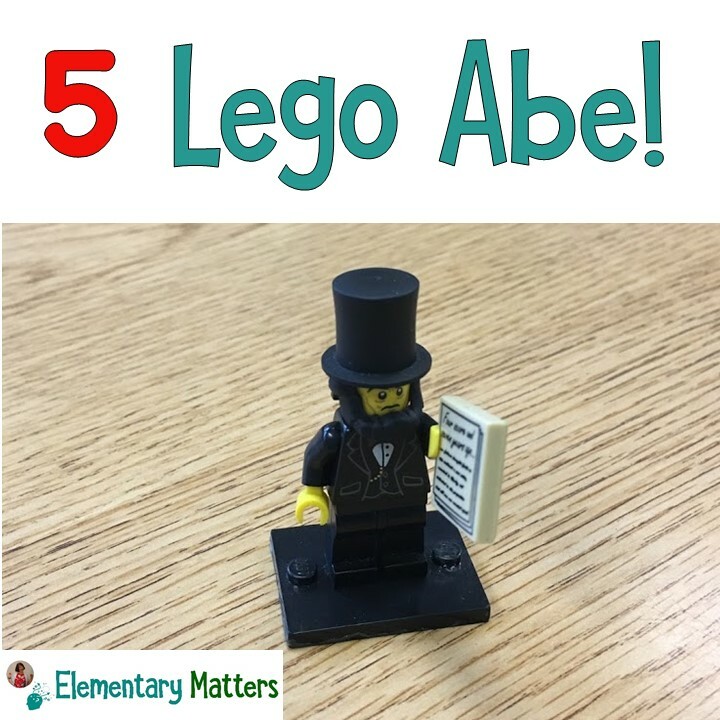 You may not have your own Lego Abe, but I'm sure you've got something the children might cherish as much as mine cherish Lego Abe. Have you noticed a theme? NONE of these rewards are given for being "smart" or "talented." They are given for effort and hard work! Plus, NONE of these rewards are things the children get to keep. They are simply a recognition for a job well done, and encourage children to take pride in what they do. These rewards don't encourage entitlement, they encourage children to work. Isn't that what we want? 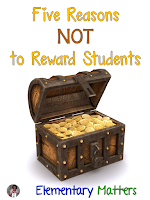 I am about to video my teaching for National Boards and I was considering what types of food to bring as a "reward/bribe"
I appreciate this post because I work next door to a teacher who gives away prizes while I do NOT. I love your ideas ~ I even have the collection of beanie babies and other "stuff" just sitting around. These ideas would also come in handy at the end of the year. Great ideas promoting a growth mindset, thanks!